Water is important to farmers and ranchers across the globe, it grows their crops and waters their livestock, after all. Here in the desert state of Arizona, it can be an even more important subject. In other regions of our country where rain is abundant, farmers don’t have to rely as heavily on irrigation techniques. Arizona, however, gets much less rain than the Midwest and east coast, so different methods must be employed to get water to the crops. To be able to grow such an array of crops, technology is constantly being updated and utilized by agriculturalists not only in Arizona, but across the United States and in other arid regions around the world. Technology like basin irrigation, syphon tubes, the pivot system, and drip irrigation are just a few ways farmers and ranchers get better usage out of their water. Using these time-tested techniques, farmers are able to use half the amount of water they were using just 20 and 30 years ago. 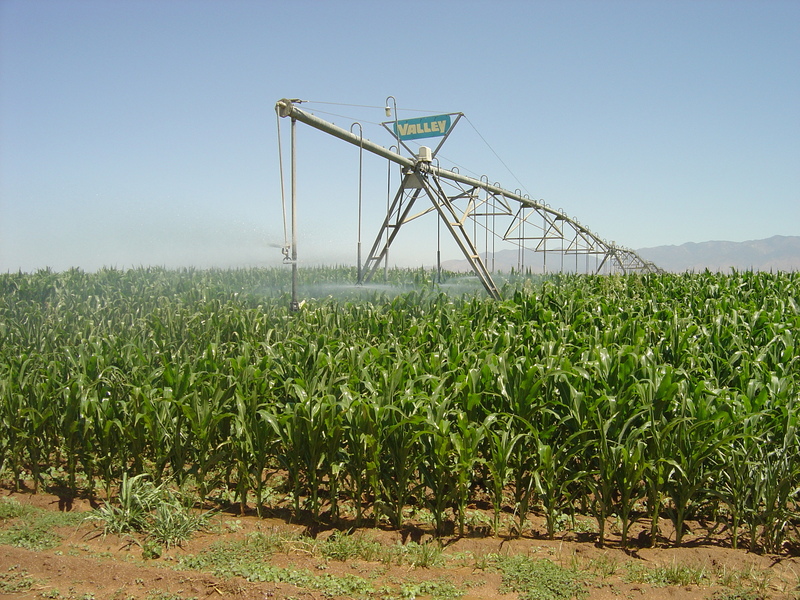 Another popular method of watering crops here in Arizona is drip irrigation. This system is more efficient than others, and in Arizona, watering techniques must be efficient to conserve as much water as possible. “Farmers in Central Arizona that have invested in drip irrigation can save between 1/2 and 3/4 acre feet of water per year when compared with traditional flood irrigation,” Arizona cotton, wheat and alfalfa farmer Dan Thelander said. “In addition, fertilizer can be applied through the drip system more efficiently as well, allowing for savings of fertilizer.” But although this method is much more efficient, it is the most expensive irrigation technique used by Arizona farmers. With all the different methods available to water crops, farmers in Arizona have it a lot easier than they used to. They are able to grow more crops, more abundantly. Without these techniques, farmers would not be able to afford to water crops, as water is expensive, said Seitz. Water has always been a hot-button topic among residents in Arizona, so do they know that farmers are using these techniques to conserve the precious resource? “To be honest, I don’t know if they know that,” Seitz said. Although he does hope that word will spread and more people will learn how Arizona farmers use their water. This entry was posted in Arizona, Arizona farmers and ranchers, Farm Technology, Planting, Water and tagged agriculture, Arizona, Drip irrigation, farming, irrigation, Pivot, Water. Bookmark the permalink.